Nothing to do with me but I'm going to promote it anyway. Shake The Disease!! !Ain't that a Depeche Mode song?! canadian state of 808 wrote: Shake The Disease!! !Ain't that a Depeche Mode song?! Of course! I thought I remembered it from somewhere. I remember that gig, especially the morning after meet-up in the Frankenstein pub with a hangover! 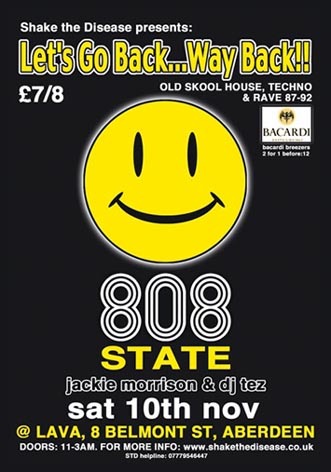 They're back, 10th Oct, this time in a Glasgow warehouse (What a venue, trust me).